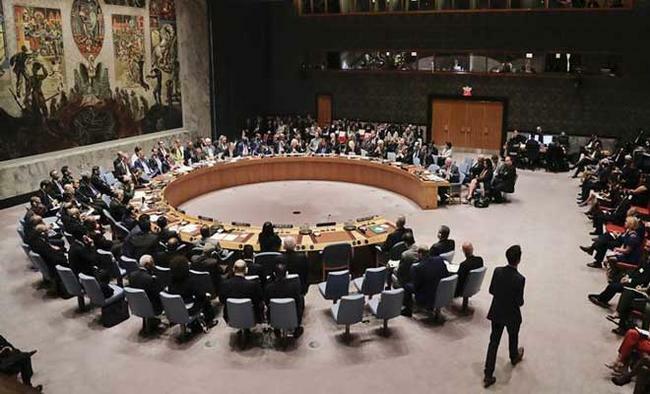 United Nations: India and other members of the G4 have offered to initially forgo veto powers as permanent members in a reformed Security Council as a bargaining chip to get the reform process moving. 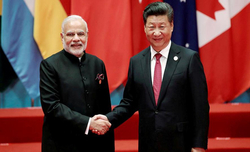 "The issue of veto is important, but we should not allow it to have a veto over the process of Council reform itself," said India's Permanent Representative Syed Akbaruddin, who was speaking on Tuesday on behalf of the G4 at the Inter-Governmental Negotiations (IGN) on Council reforms. While the new permanent members would in principle have veto powers that the current five have, Akbaruddin said, "they shall not exercise the veto until a decision on the matter has been taken during a review". India, Brazil, Germany and Japan constitute the G4, which lobbies for Council reforms and they mutually support each other's candidatures for permanent seats on an expanded body. The G4 group rejected suggestions to create a category of longer-term elected members of the Council as a ploy to block adding new permanent members. Expanding only the non-permanent categories would only worsen "the imbalance of influence" in the Council and "tilt the scales" in favour of an outdated set-up, he said. Akbaruddin was responding to Italy's Permanent Representative Sebastiano Cardi, who opposed expanding the permanent membership and instead suggested creating a new category of elected membership with longer terms than the current two years. Cardi made the proposal on behalf of Uniting for Consensus (UfC), a 13-member group that includes Pakistan. The group has been waging a decades-long battle against expanding permanent membership and blocking the reform process. Approaching reforms from a narrow national perspective of ensuring that certain countries do not get permanent membership - for example, Pakistan's opposition to India - through the reform process, the UfC suggested adding 11 seats to the Council, with nine of them having longer terms. 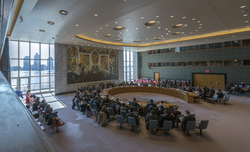 Deriding the UfC proposal as "old hat", Akbaruddin said that the 1944 Dumbarton Oaks conference held in Washington to negotiate the shape of the UN had rejected suggestions for the longer-term Council membership. Any proposal for Council reforms without an expansion of the number of the permanent seats does "grave injustice to Africa's aspirations for equality", he said. The G4 also pointed out that the number and allocation of non-permanent seats have outlived their relevance since the UN was formed and the reform in 1965 when the number of non-permanent members was increased from six to 10. 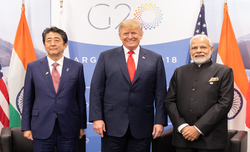 Akbaruddin said that 53 members of the Asia-Pacific group of nations have only two elected seats on the council, while the 26-member Western Europe group also get two.